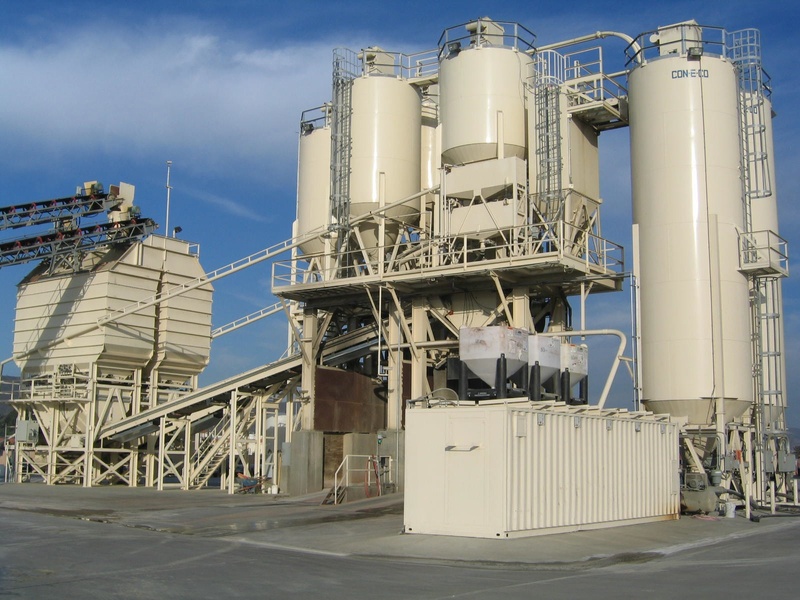 Sometimes two high production Dry Batch plants is better for your local concrete market then one high production Wet Batch plant. Daily Operational Flexibility – Twin CON-E-CO PLP 12 yard batch plants with 3-yard surge hoppers were installed for this San Diego producer with site limitations. The maximum height allowed was 48ft. 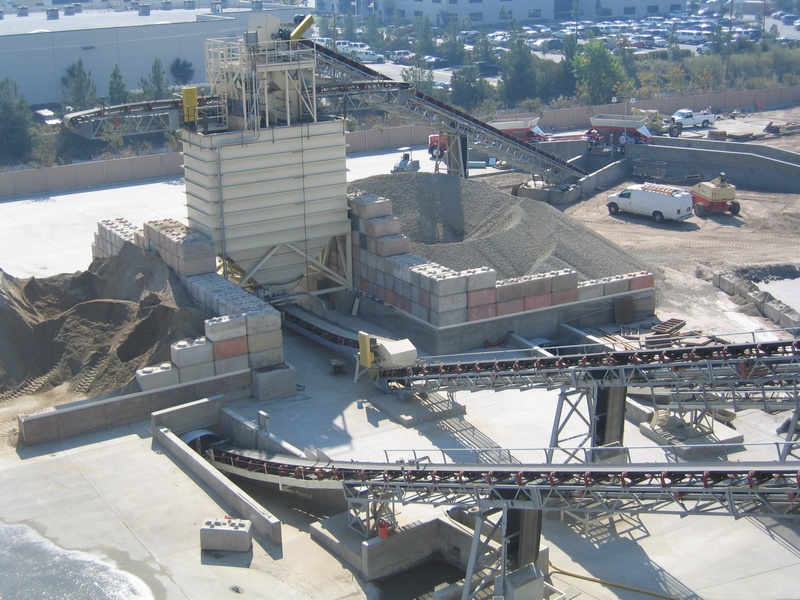 The two plants allow the operator to meet high production needs, while still providing specialty aggregates for custom projects. The 5,000 tons of live aggregate storage allows the producer the opportunity to take advantage of off-peak trucking rates. Live aggregate material bunker storage for 7 different materials provides the producer with the daily flexibility of residential and high production commercial production. 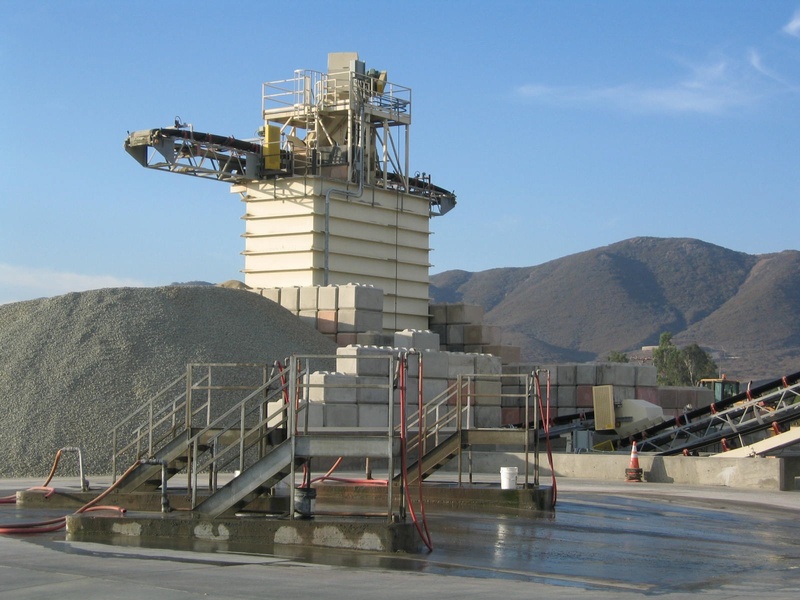 The choke feed design maintains the plant aggregate bins full during production. The secondary cement storage Silos increase the plant capacity to 400 tons of cement and fly-ash. The limited plant height restricted the plant silo storage volumes, but the ground mounted vertical guppy’s provided 6 loads of cement each. Plant silos are automatically kept full working off of the high-level indicators.